SOUTHFIELD, Michigan ― Every day, at least nine Americans die and 100 are injured in distracted driving crashes*. In 2016, more than 3,000 people were killed by distracted drivers**. To end preventable injuries and death, DENSO, the world’s second largest mobility supplier, has donated $125,000 in fiscal year 2019 to extend and expand its partnership with national teen defensive driving program B.R.A.K.E.S. (Be Responsible And Keep Everyone Safe). The B.R.A.K.E.S. charity offers young drivers across the country, and their parents, free, extensive behind-the-wheel training to reduce auto crashes. Car crashes are the number-one cause of death among teens in the United States. Even scarier – more than 90 percent of all crashes are caused by human error, such as texting, speeding or impaired driving. 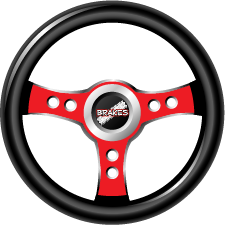 April is National Distracted Driving Awareness Month, and both DENSO and B.R.A.K.E.S. are committed to educating drivers of all ages on the dangers caused by mental, visual and manual distractions. Cell phones, in-car entertainment and navigation systems, passengers – anything that competes for a driver’s attention – can pose a threat to road safety for drivers, riders, pedestrians and the surrounding environment. During National Distracted Driving Awareness Month, B.R.A.K.E.S. is hosting driving schools in Georgia, California and North Carolina. To see the full 2019 schedule and register yourself or your teen for a class near you, visit www://putonthebrakes.org/. Doug Herbert’s B.R.A.K.E.S. (Be Responsible and Keep Everyone Safe) is a GuideStar Platinum-rated 501(c)3 non-profit whose mission is to prevent injuries and save lives by training and educating teenage drivers and their parents about the importance of safe and responsible driving. B.R.A.K.E.S. was founded in 2008 after Top Fuel drag racer Doug Herbert lost his two young sons, Jon and James, in a tragic car crash. Today, more than 35,000 teens from 45 different states and five countries – and their parents – have graduated from the B.R.A.K.E.S.’ intensive half-day training course, which is free of charge and features hands-on skills exercises taught by professional instructors in a fleet of new vehicles donated by Kia Motors America.